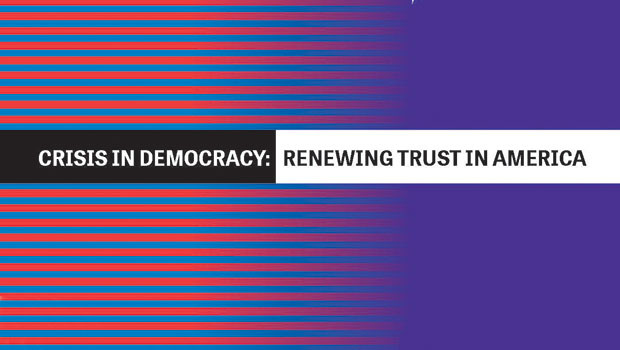 “We, as individual citizens of a great nation, need to take measures now, not next year, to maintain the democracy that has developed over nearly two and a half centuries,” according to a new report from the 27-member Knight Commission on Trust, Media, and Democracy, which includes the Berkman Klein Center's Jonathan Zittrain. “Democracy and the news media are inextricably intertwined, and it is clear that both are in crisis. American democracy suffers not only from a decline of trust in the ‘other’ to govern, but also from a breakdown of our shared concept of citizenship."